Hi girls! I hope you're all having a great weekend so far! Mine has been kind of lazy, don't you just love lazy weekends? 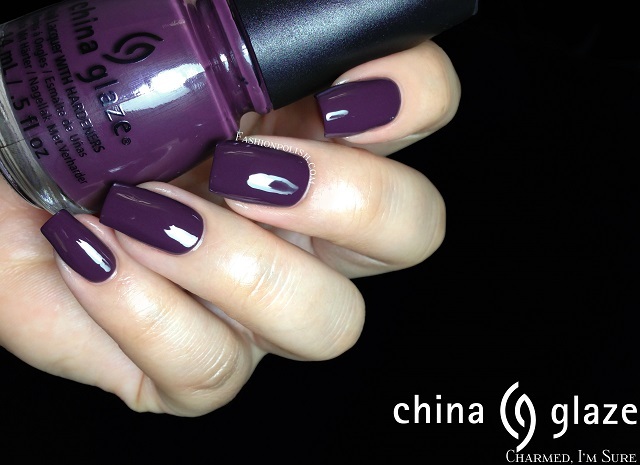 Sooo... Today I have the China Glaze Fall collection to share with you, Autumn Nights. I was really excited by most of them when I saw the press release, let's see what they look like on the nails! Queen B is a dusty blurple creme. It's more purple IRL than in my pictures, such a hard color to photograph! Formula was outstanding and a careful one coater. 1 coat plus topcoat. Charmed, I’m Sure is a dusty eggplant creme. Consistency was very similar to Queen B, slightly less pigmented and almost a one coater. I used 2 thin coats plus topcoat. 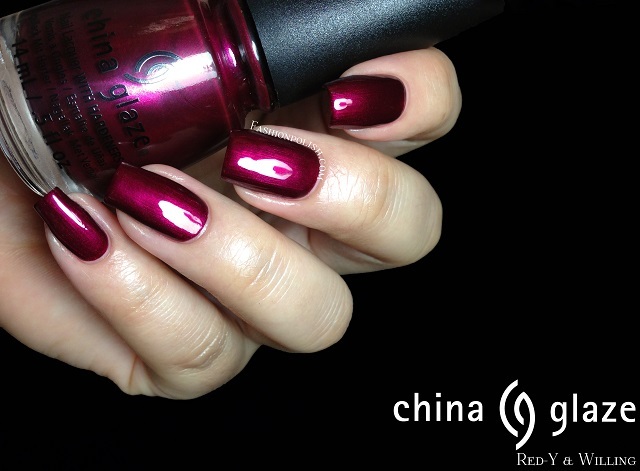 Red-Y & Willing is a deep cherry red shimmer. It's a stunning color, maybe not as smooth as I would have hoped but I still love anyway. 2 thin coats plus topcoat here. 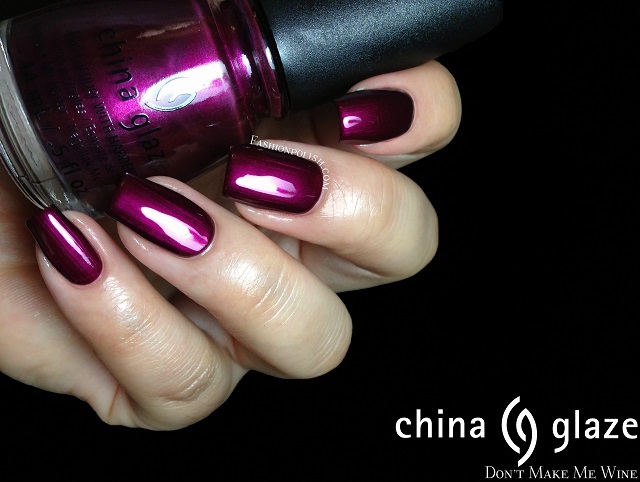 Don’t Make Me Wine is a magenta shimmer with the exact same finish as Red-Y & Willing. There's a little bit of brushstrokes here as well but application was fairly easy. I used 2 coats plus topcoat too. 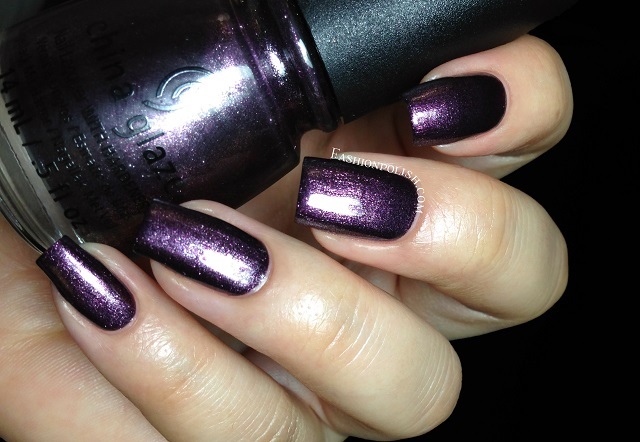 Scandalous Shenanigans is a dark blue shimmer leaning blurple. This one also showed some brushstrokes once dry but it wasn't that bad. Amazing coverage and a true 1 coater, this is one coat plus topcoat. 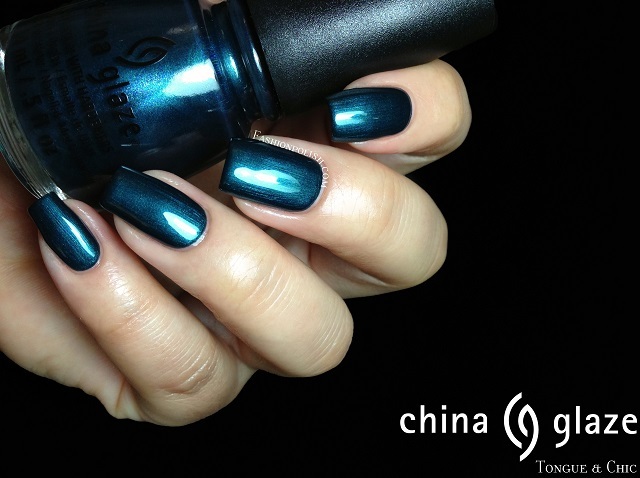 Kiss My Glass is a dark gunmetal frost shimmer. Application was problematic here, so brushstrokey... I used 2 very thin coats, topped them with a combo of matte + regular topcoat and ta da! 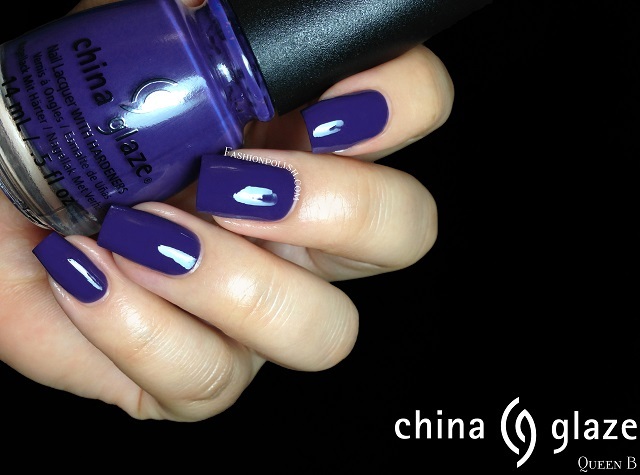 Prefectly smooth and absolutely gorgeous, matte topcoat made a world of a difference! Public Relations is purple toned grey frost shimmer with the exact same finish and application as Kiss My Glass. 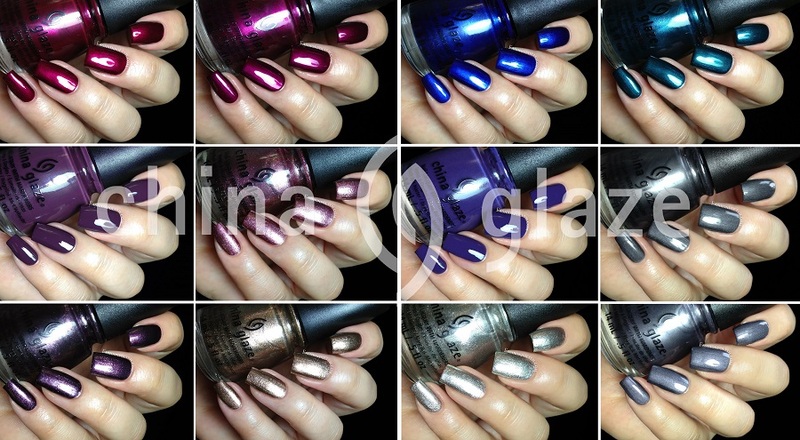 I also used 2 thin coats plus matte / regular topcoat in my swatches below. 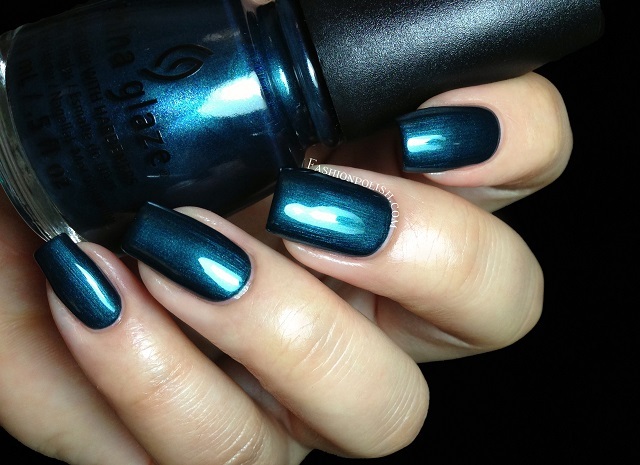 Tongue & Chic is a dark teal shimmer. 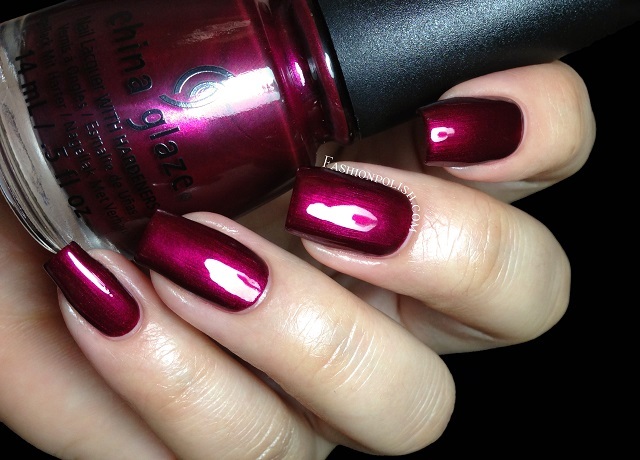 This one's super gorgeous, dark around the edges and with a lot of glow. 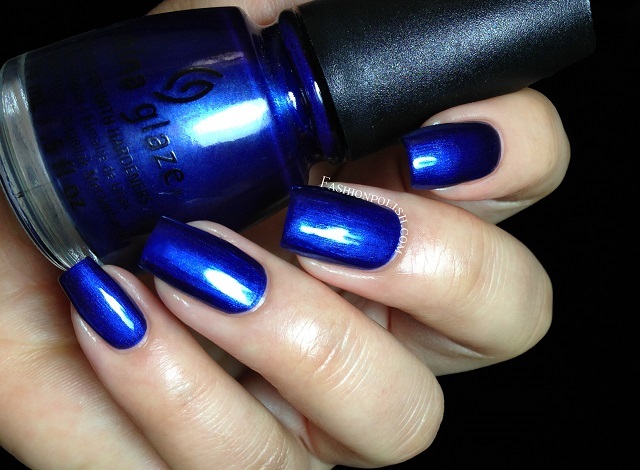 Perfect formula, smooth and highly pigmented, I used one coat plus topcoat. 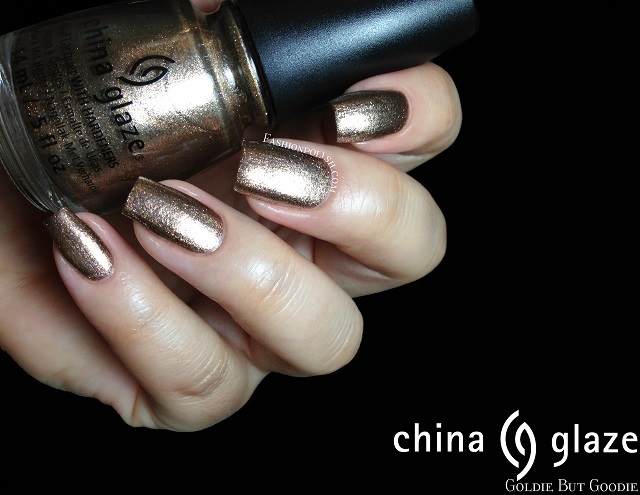 Gossip Over Gimlets is a silver foil scattered with sparse golden particles. 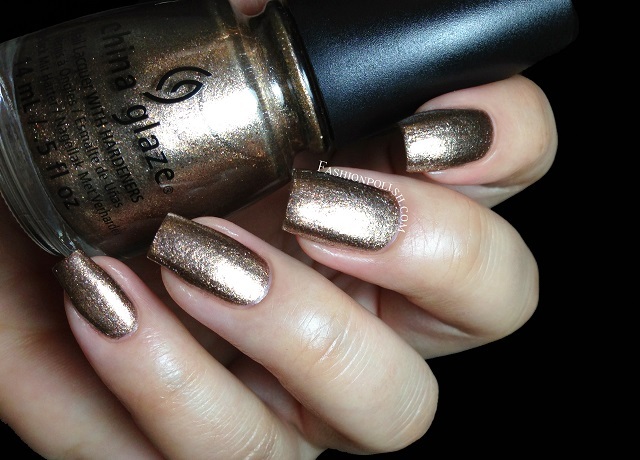 Perfect formula and pigmentation, extreme sparkle, I used one single coat for complete coverage. Goldie But Goodie is a rust golden foil. I'm usually not a big fan of gold but this one's really interesting. 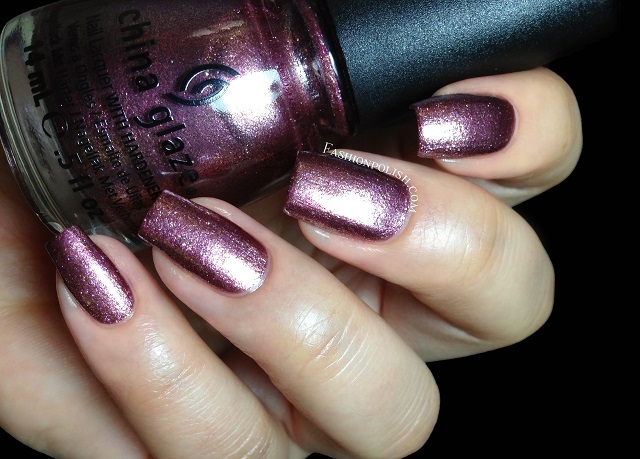 Super sparkly and pigmented with a similar application to Gossip over Gimlets, I used one coat plus topcoat here. 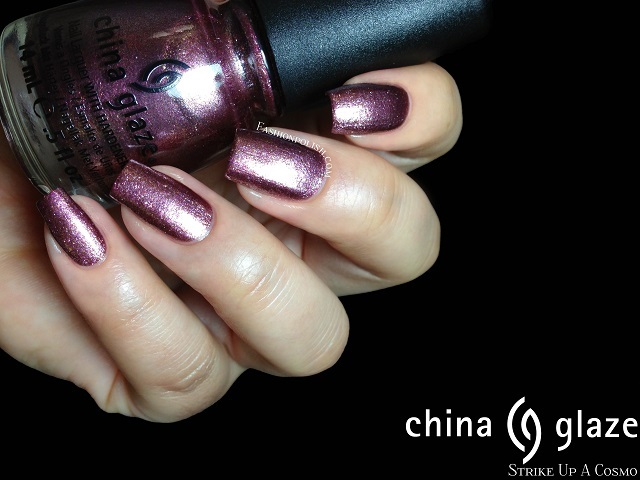 Strike Up A Cosmo is a rose purple foil mixed with gold. 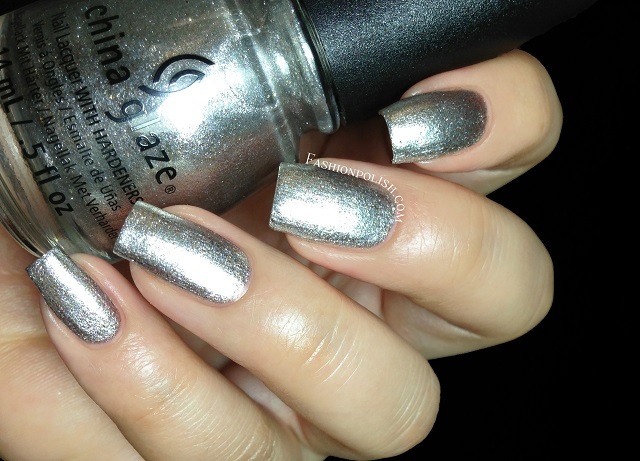 Just as sparkly as pigmented as the previous 2, one coat plus topcoat below. 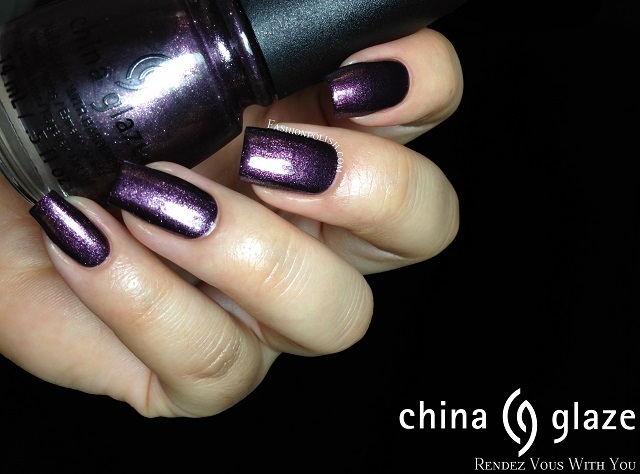 Rendez Vous With You is a really dark cool purple foil. So perfect for Fall, I don't think I have anything like it in my collection! 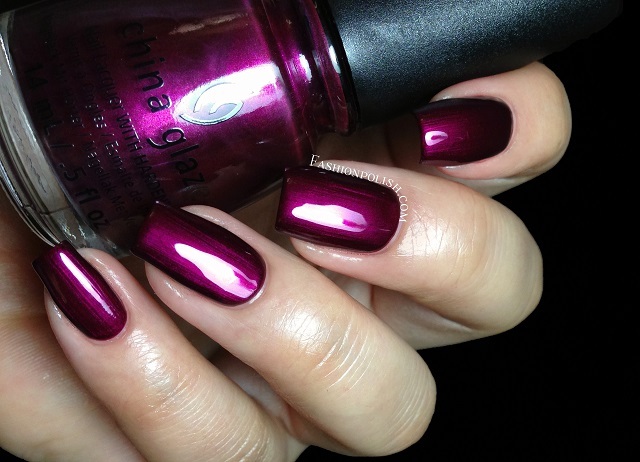 Formula was just as perfect as the other foils, one coat for full coverage. My top picks : Rendez Vous With You, Tongue & Chic and Kiss My Glass (with matte topcoat!). What do you think about this collection? Did you buy any of them? Did you manage to "tame" the brushstrokes?